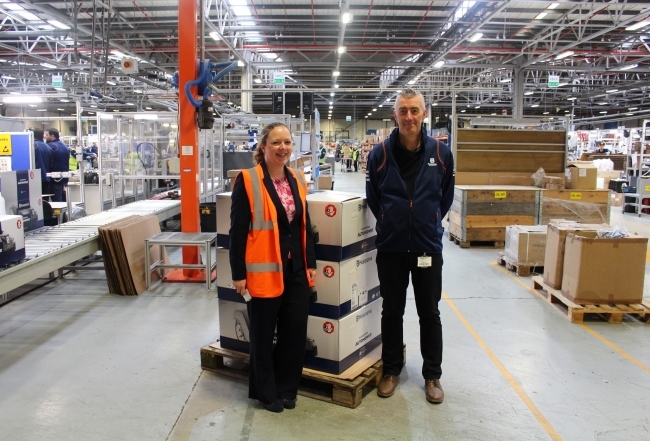 Husqvarna Group, one of the world’s leading producers of forest, park and garden products, has celebrated a landmark occasion for British manufacturing as it marks the production of its 1 millionth robotic lawnmower at its UK headquarters in Newton Aycliffe, County Durham – a first for the industry. 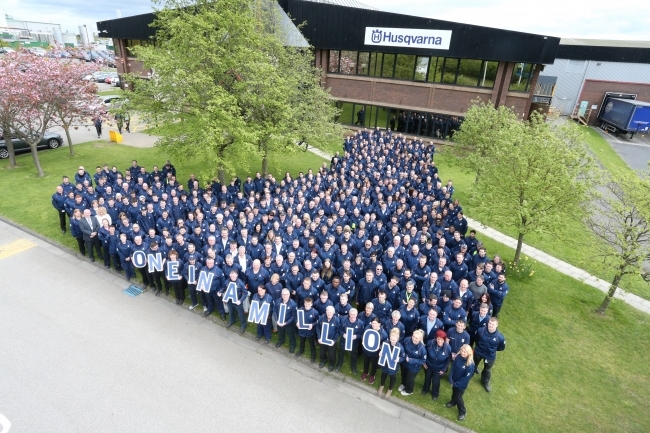 The occasion, which proves a milestone moment for the company, is a testament to Husqvarna Group’s devotion to innovation in lawn mowing, and to the 130,000 sqm Newton Aycliffe site which has been a manufacturing force for robotic mowing since 2006. Husqvarna Group is a pioneer in robotic grass cutting technology, and through the success of its range of products and solutions, is the global market leader in robotic lawn mowing. In 1995, the Group created the robotic mower market by introducing the Solar Mower, the world’s first-ever robotic mower. Today the Husqvarna Group offers a range of robotic mowers in the Husqvarna, Gardena, McCulloch and Flymo brands. Kai Wärn, CEO and president for Husqvarna Group said: “Celebrating 1,000,000 environmentally friendly robotic mowers is a milestone for the Group. More than twenty years ago, we created the robotic mower market and have developed the market ever since. Production of robotic mowers has been ongoing for 22 years and in 2006 its Newton Aycliffe factory began the manufacturing of its flagship product. In the height of the season it can see around 3,000 models produced per day. It takes, on average, input from 72 staff to produce each robotic mower and the factory currently employs 1,154 people to produce machines which are exported worldwide. The main market for robotic mowers is still Western Europe but is growing globally by at least 20 per cent each year. Extensive knowledge and experience built into the products mean reliable, safe and proven machines. With a mindset of continually making improvements, the Group’s robotic mowers have become more robust, easier to install and use and can handle even more complex gardens. A robotic mower is energy efficient and has almost no emissions during use. The electricity consumption for maintaining a 1,000m² lawn is approximately equal to a 60W light bulb. Today it is possible to control, program and track your robotic mower via a smartphone or tablet app, meaning you can be in control no matter where you are. Since the very first robotic mower, time and effort has been invested in order to reduce the product’s noise level to a minimum and now machines work in an almost silent manner, meaning peaceful, environmentally friendly mowing across the world.